Just as Africa's geography displays evidence for electrical discharge machining, so does the American Southwest. In recent Thunderbolts Picture of the Day accounts, we have described a number of locations around the world where the giant scars from electric arcs may be found. Some of those structures are uplifts, isolated within a large expanse higher than the surrounding plain. One of those uplifts is found within the deserts of New Mexico and reveals the telltale characteristics of a fulgurite. 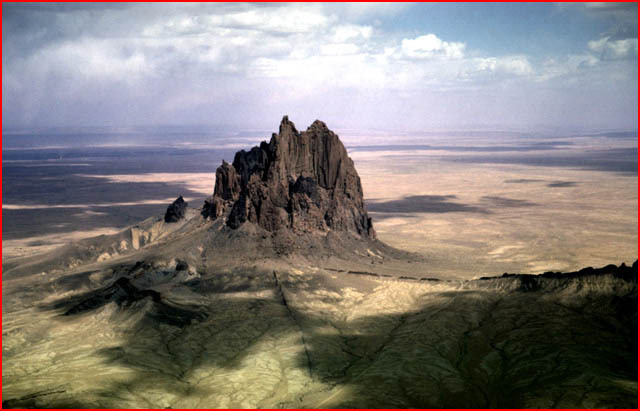 Orthodox theory considers formations like Shiprock to be volcanic intrusions called plutons, though in truth volcanoes and 'volcanic intrusion' are not presently understood. As the theory goes, some sort of geological activity causes magma to move closer to the surface, perhaps to form a volcano or a sub-surface pool of molten rock. After the active phase has passed, the magma within the underground chamber cools and hardens, forming a plug of solidified lava. Due to the slow and steady progress of erosion over millions of years the surrounding landscape wears down and is blown away, uncovering the now solid stone which is more resistant to the erosion that wore away the softer strata. In an electric universe, however, Shiprock and similar forms are suggestive of electric arc impacts. Fulgurites are created when an electrical discharge strikes the ground and fuses material from the surrounding area, forming an underground impression of the stroke. An accumulation of solidified soil and sand is left behind. 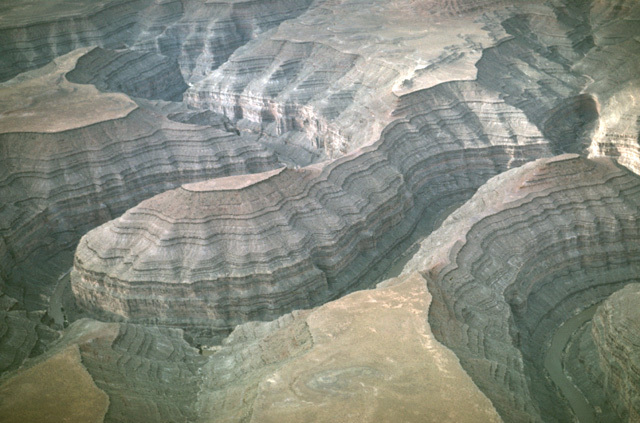 After the fulgurite is formed, later more diffuse electrical erosion strips the landscape down to below the level of the fused material, exposing the hardened formation. A significant aspect of Shiprock's surroundings is the web of "lava dikes" that stretches out from the base of the prominence into the desert. Thought to be part of the eruptive event(s) that formed the structure, the dikes are ridges of metamorphic rock left behind by the erosion of softer overlying sediments. According to standard geology, they are fingers of magma that melted their way along the weak points of the sedimentary layers and then solidified when the volcano became extinct. Examples of such lava dikes are found on Mars, as well. Because Mars does not have the atmospheric density necessary for much erosion and has no running water, it suggests that the dikes formed in some way other than weathering. They have all the earmarks of dual ridge trenches with unusual ripples that flow alongside. In past Picture of the Day articles, trenches of similar morphology have been identified with electric arc discharges. There is more evidence for our theory of Shiprock's electrical birth. The formation is not alone in the desert, it is surrounded by other similar structures. There are tortuous valleys with scalloped edges cut into the area as well as Lichtenberg figures and fields of stone spheres very much like the "blueberries" on Mars. By ignoring these specific observations, it appears that the conventional explanation will never be complete.